Microsoft has announced the opening of applications for the sixth batch for the Accelerator Program of Microsoft Ventures in India. 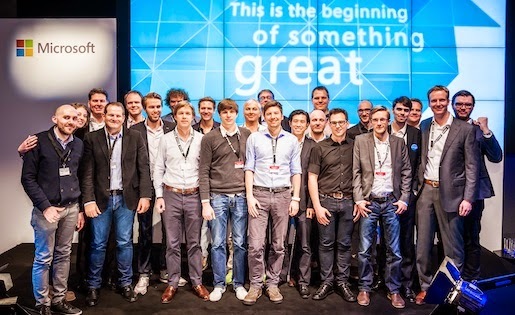 Starting October 10, 2014 till November 30, 2014, Microsoft will receive online applications from technology startups. The names of shortlisted companies will be announced in a few weeks after applications close and they will be invited for a face-to-face session with a jury panel. The final list of startups will constitute the summer batch of calendar year 2015 and will begin the four-month acceleration program at Microsoft’s office in downtown Bangalore in end January, 2015. Their graduation day will coincide with Think Next event in June 2015, where the startups will get an opportunity to showcase their ideas to key industry influential, eminent investors, mentors from India and abroad as well as the leadership team of Microsoft Ventures. 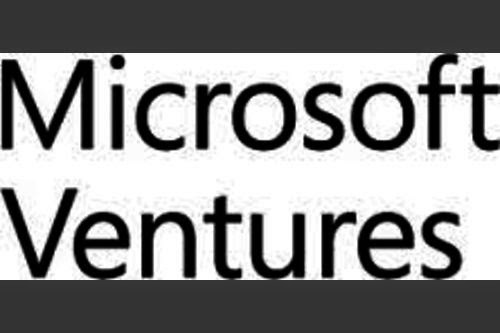 For the sixth batch, Microsoft Ventures is again looking for a mix of Indian and international companies—Indian startups which are ready for the next stage of accelerated growth and want to have access to global markets as well as international companies that are interested in Asian markets. Young companies, which are at the ideation stage and have extremely high potential, will also gain from the program. * All that startups need to do is apply online. And in case they have queries, just read up the FAQs. * Attend a Microsoft workshop in their city (Microsoft expert will conduct a series of workshops and coffee meet-ups in various Indian cities to meet startups and startup aspirants and answer their questions. Schneider Electric Infrastructure is gearing up to take on the challenges in handling Prime Ministers’s pet project of 100 smart cities in India. 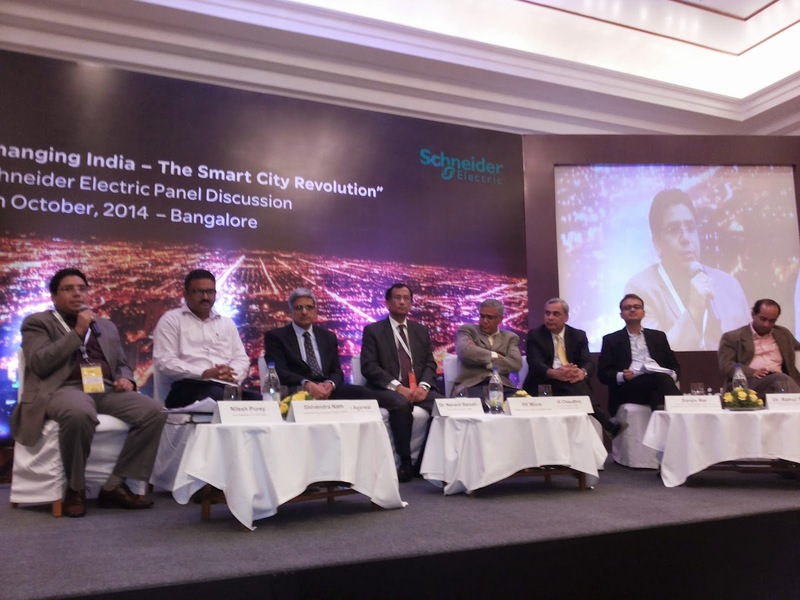 At a seminar on ‘Changing India: A Smart City Revolution’, held in Bangalore on October 9, 2014, Schneider Electric President and Managing Director for India Anil Choudhry said it affords an opportunity for integrating technologies. 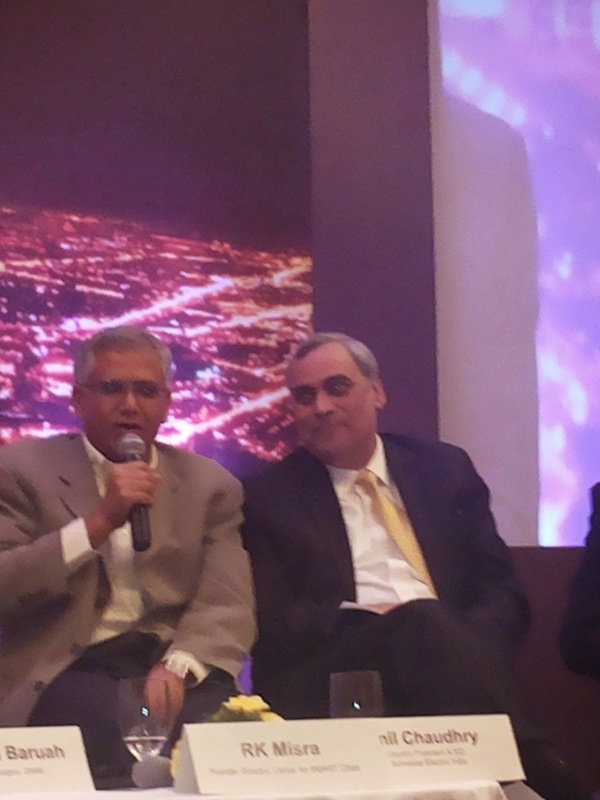 “Schneider is well positioned to contribute to the government’s vision of creating 100 Smart Cities." We are already working on smart projects and is serious about the fact that smart infrastructure will form the backbone of any smart city.“Schneider’s experience as a developer of Smart Cities is impeccable. We can integrate technologies in brownfield surroundings and enmesh loopholes to achieve energy efficiency,” Chaudhry said. For Schneider it is necessary to identify the building blocks for making the government’s ‘Smart Cities’ project a reality. Such a city should weigh the socio-economic necessities, inadequacies of the country’s infrastructure and administrative mechanisms, and the skills that will guide the city planners, administrators and proponents to build and manage Smart Cities. The seminar saw the participation of speakers from a plethora of fields who put forward their views regarding building a successful smart city model for future India. The seminar saw the participation of speakers from a plethora of fields who put forward their views regarding building a successful smart city model for future India. In the course of the discussion, Nilesh Purey, Vice President, ICT, Gujarat International Finance Tec-City shared his views on the skill sets that will enable city planners drive a Smart City project. The panelist also put the spotlight on the socio-economic necessities that drive the Smart City objective, turning the table on the inadequacies of our country’s infrastructure and administrative mechanisms, and the skills that will guide the city planners, administrators and proponents to build and manage Smart Cities. Want to make your organization’s social, actionable? Popin provides the answer to CEO’s, Business Leaders, Editors and Top Level Management with an intuitively simple and attractive app that is available in both android and iPhone marketplace. The application called ‘Popin’ (portal of pain, internal) works on desktops, tablets and mobile phones. PoPin is a SaaS based mobile and a totally secure web solution that facilitates the CrowdSourcing of ideas that the team automatically “votes” to the top. Selected initiatives can then be CrowdSolved with specific discussions to deliver timely and innovative impact to relevant corporate objectives. Infact, the Irvine-based firm has set up its India centres in Hyderabad and Bangalore. It has hosted its cloud services of Amazon’s EC2 cloud and is targeting hot indian verticals including education, FMCG, BFSI and also political parties. 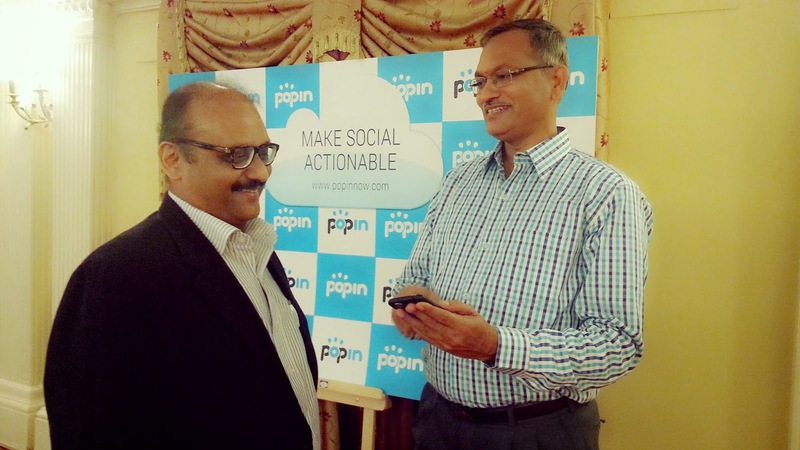 PoPin is vertical agnostic and can benefit any vocation be it manufacturing, sales and marketing, consultancy, government, education… Conversations can be contained, curated and controlled across the participants, be it employees, business partners or even customers in order to obtain near real time results through maximum engagement alongwith the “feeling of contribution”. It converts a disengaged corporate-employee environment to one of a fully engaged participation. Announcing the formal launch of its development center in Bangalore which currently has a 20 member research, design and development team Sanjiv Gupta said ‘your imagination is the only inhibitor to coming up with ways that PoPin can help your organization improve engagement and uncover actionable and innovative approaches to business initiatives. While we all knew the urgency and importance of cutting through social noise that is invading your enterprise, with PoPin, you now know how and what to prioritize’. Some of the few common uses we believe PoPin can help a CEO bridge stronger ties with his employees in a social actionable way is by building consensus for new strategies, innovation buy-in, change management and skip level management, merger-acquisition assimilation and streamline off-site meetings. It is also acts as fantastic survey and product, services road map tool. Introducing the popin functionality Sanjiv Gupta, Director of PoPin, India, said another interesting feature of the app is you have the option of setting sessions as ANONYMOUS (so no one knows who enters what) or NAMED (everyone is explicitly identified) depending on the need to protect identities, prevent political responses or set accountability. A CEO or Head of Department will now be able to find higher levels of engagement and empathy by mixing audiences for select sessions such as combining internal engineers with customers in product roadmap discussions. The 3 months old startup is funded by Angels. Its current target is it to expand its user base both in the global and Indian market. It expects the adoption chances for this app in the corporate world to be immense given the fact that information today is cluttered and there is no way a top level manager can find a near automatic and well defined way to dissect them and seek an actionable items that can help him improve his organizational and departmental efficiency. Currently PoPin draws revenue from each user billed on an annual basis. However, the revenue stream would be fine-tuned further as its global user base increases. 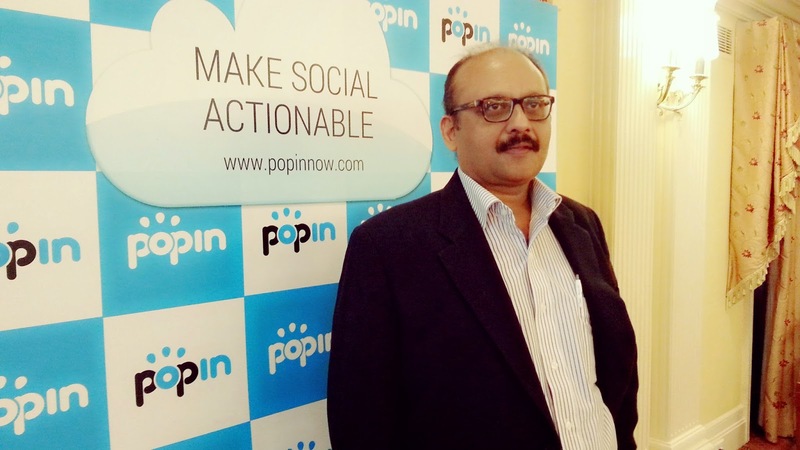 Popin US is nearing an adoption base of 20,000 and expects to grow it by 10x within a year, with India contributing a handsome 50% of the Global foot-print. 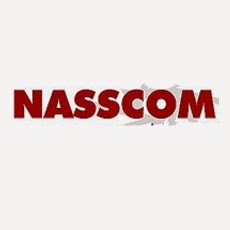 To assess the effect of the continuously evolving engineering landscape in India, the National Association of Software and Services Companies (NASSCOM) today organized its annual NASSCOM Engineering Summit 2014 in Pune. Focused on the theme of “Engineered from India”, the two-day summit is aimed to provide a platform for the engineering community to engage with each other, discuss issues of common interest and network with customers and partners to create a common framework for the engineering future in India. India is fast emerging as a solution provider to the global challenges in the engineering and design arena. India today is a home to over 400+ global ER&D organization with most being the second largest centre outside their home location employing over 200,000 engineers. The scalable talent pool across diverse areas of science, technology and management, along with robust academic and research infrastructure and a progressive policy environment is spurring the industrial R&D activity in the country. India is also steadily building the entrepreneurship climate to enable successful growth and innovation. The ER&D services market has played an important role in developing the ER&D capabilities of the country. Escalating cost pressures and demand saturation in developed economies are encouraging firms to increase ER&D spends on efficiency improvements and product localizations. India is now an ideal engineering hub for the global ER&D market with more companies using its supply base for future growth. It is important for major stakeholders of this industry –Government, industry and trade associations to ensure the growth trajectory of the industry and moving it to the next level of product development. In a strategic move to capitalize on the burgeoning ecommerce revolution in India, North California headquartered health & lifestyle company GOQii Inc today announced the launch of its GOQii life services in India exclusively on Amazon.in. Targeted at the fitness enthusiasts, the GOQii Life service is the world’s first offering that combines an advanced fitness tracker, a mobile app and a personal coaching service. Exclusively available on Amazon.in, the GOQii pack has a starting price of Rs. 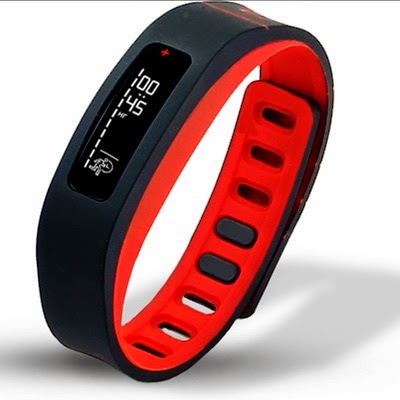 3999 and includes the proprietary GOQii band, the GOQii Personal Coach service and the GOQii app. The app is available for both Android (+4.3 version) and IOS (6.0+). The GOQii ecosystem provides its users a holistic system by providing them a wearable fitness tracker along with personal coach, backed by world-class experts, and a way to embrace social philanthropy by converting “steps” into Karma Points, GOQii’s virtual currency to support the user’s social cause of choice. It also adds a social media angle by allowing users to interact with other GOQii users within the app through a social interface. The mobile app inbuilt in the new GOQii Life is backed by some of the world’s renowned fitness experts and coaches like Kendra Markle, behavior experts from Stanford and Luke Countinho, Leading nutritionist and ‘International Collaborator ‘with the University of Yale, Griffin – Prevention research center, CT, U.S.A thus enabling customers an easy access to a personal trainers who interact with customers one-on-one via the App, keep them motivated and on course to achieve their fitness goals.helps the person stay motivated and keep on course to get fit. “India is witnessing an unprecedented online shopping boom and the e-retailing market in India will vastly expand as mobile broadband penetration rises. At GOQii, we are passionate about providing our consumer all the support needed to stimulate their body, mind and soul and to achieve a permanent shift to a healthier and more fulfilling lifestyle,” said Vishal Gondal, Founder & CEO of GOQii Inc. “Amazon is not only a marketplace but a brand established over the proven record of consumer-empowering innovations, and its dedication to deliver consumer delight to its consumer is aligned with the experience we wish to provide our users,” he added. “We are excited to be the partner of choice for GOQii Inc. and offer our customers the exclusive access to GOQii Life, a unique fitness device especially during the ongoing festival season. This partnership gives us the opportunity to forge deeper engagement with fitness enthusiasts across the country and aligns with our vision of offering customers in India the widest selection at low prices, fast and reliable delivery, trustworthy shopping experience and add excitement to their festival shopping” said Samir Kumar, Director Category Management, Amazon India. GOQii had launched a beta test of the device earlier this year and received much international acclaim and fan following in a short span especially through various social media platform. Engineers from Stanford University, Honeywell International and ANSYS are working together with simulation software to create more energy-efficient aircraft engines at lower costs. As demand grows for increased gas turbine efficiency, engine manufacturers are challenged with creating designs that operate at higher temperatures. But that becomes a significant challenge as temperatures approach the melting point of some engine component material. A well-established method for maintaining turbine blade temperatures at acceptable levels is to employ “film-cooling,” a technique in which cooler, compressor-discharge air is detoured around the combustor then ejected from precisely-machined holes placed over the surface of the turbine airfoil. Excessive use of compressor air for turbine film cooling can, however, reduce engine efficiency. Stanford, with support from Honeywell and ANSYS, is performing a new type of testing with 3-D magnetic resonance velocimetry to measure the velocity and concentration field in a test section. These methods measure the turbulent interaction of crossflow jets with the main flow, for a variety of jet configurations and orientations. These data sets provide an important benchmark against which the large available range of ANSYS turbulence models and computational methods can be compared. The objective is to develop validated models, methods and best practices for prediction of film cooling. "This is the first time that an engineering software company has supported an extensive test series like this, and it illustrates the commitment of ANSYS to the continued upgrade of the turbulence models in ANSYS computational fluid dynamics solutions," said John K. Eaton, the Charles Lee Powell Foundation professor in Stanford’s School of Engineering. “Our combined efforts are aimed at validating the turbulent mixing models in these tools over entire complex flow fields, something that has never been done before. Conducting this testing over a wide range of film cooling conditions provides a comprehensive test of the predictive capability." 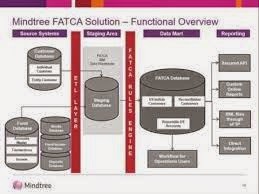 Mindtree, a global technology services company, today released results of their Strategies for Achieving FATCA Compliance survey. 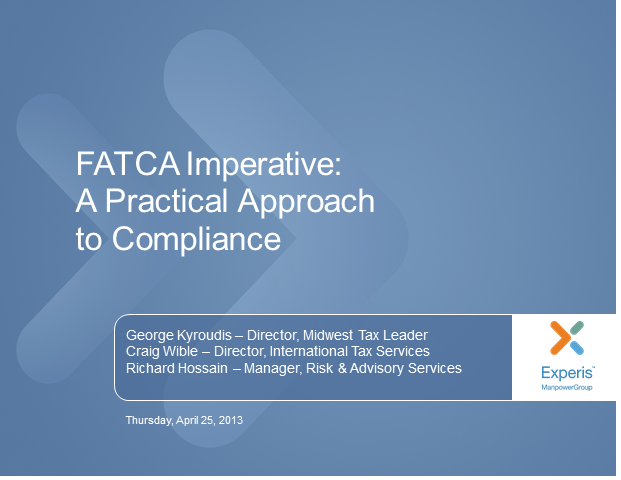 Conducted in May and June 2014, the survey examined the challenges that risk, compliance and IT decision makers face in achieving FATCA compliance. 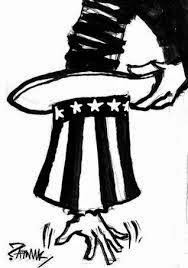 Complying with FATCA through a product assessment is a complex task with multiple work-streams. To assist financial institutions, Mindtree has developed a FATCA quality assurance pack to reduce testing effort and costs up to 20%, identify gaps in the implementation process, report issues to stakeholders and enable informed decision-making. Part one of the pack focuses on test planning to assess the FATCA implementation and design a scope for data-centric, functional, performance, security and interface testing. Part two centers on the test automation, agile testing and product assessment. The third and final part of the pack examines the test results and identifies gaps. The survey was conducted in partnership with Gatepoint Research, a subsidiary of SimplyDIRECT. The National Association of Software and Services Companies (NASSCOM) welcomes the recently concluded bilateral summit between the United States and India. The Summit was focused on discussing broad Strategic and Global partnership between the two countries and establish continued prosperity and security for their citizens and the world. During his visit, Prime Minister Narendra Modi emphasized on the priority India accords to its partnership with the United States, a principal partner in the realization of India’s rise as a responsible and influential world power. The two leaders recognized that the bilateral relationship between the two nations enjoys strong support in both countries, which has allowed the strategic partnership to flourish even post the change in government. Both leaders agreed to revitalize the existing partnership and find new areas for collaboration and mutual benefit. The bilateral summit laid additional focus on the need to foster innovation in a manner that promotes economic growth and job creation and to recognize in particular the contribution of the Indian and U.S. IT/ITES industry in strengthening India-U.S. trade and investment relations. At the summit, both the countries also recognized the critical role played by the U.S. and Indian businesses in sustainable, inclusive, and job-led growth and development. We welcome US and India partnership on the Digital India initiative and US industry to be lead partner in developing smart cities in Ajmer (Rajasthan), Vishakhapatnam (Andhra Pradesh) and Allahabad (Uttar Pradesh). At the bilateral summit, the Prime Minister also mentioned the two trade missions to be organised in 2015 which will focused on meeting India’s infrastructure needs with U.S. technology and services.